Grading can be one of the most time consuming and tedious aspects of teaching a course, but it’s important to give prompt and meaningful feedback to your students. In large courses, aligning grading practices across multiple teaching assistants (TAs) necessitates a level of coordination that includes scheduling grading meetings, reviewing materials for correct answers, and calibrating point evaluations, all of which can take up valuable time during the semester. In courses that teach programming, we typically assign students projects that require them to write programs to solve problems. When instructors grade this type of assignment, they not only have to observe the program’s results but also the student’s approach. If the results are not correct or the program doesn’t run, we have to spend time reviewing hundreds of lines of code to debug the program to give thoughtful feedback. In the past, my method for grading assignments with my TAs may have been arduous but it worked. However, last year, no TAs were assigned to my Principles of Programming Languages course. Concerned that I wouldn’t have enough time to do all the work, I looked for another solution. Consistent grading and providing meaningful feedback for student’s every submission, especially with multiple teaching assistants (TAs) can be challenging. Typically, when grading, I would schedule a time to sit down with all of my TAs, review the assignment or exam, give each TA a set of questions to grade, pass the submissions around until all were graded, and finally calculate the grades. When a TA had a question, we could address it as a group and make the related adjustments throughout the submissions as needed. While this system worked, it was tedious and time consuming. Occasionally, inconsistencies in the grades came up, which could prompt regrade requests from students. I kept thinking that there had to be a better way. About year and a half ago, a colleague introduced me to an application called Gradescope to manage the grading of assignments and exams. I spent a relatively short amount of time getting familiar with the application and used it in a course in the fall of 2016, for both student-submitted homework assignments and in-class paper exams. 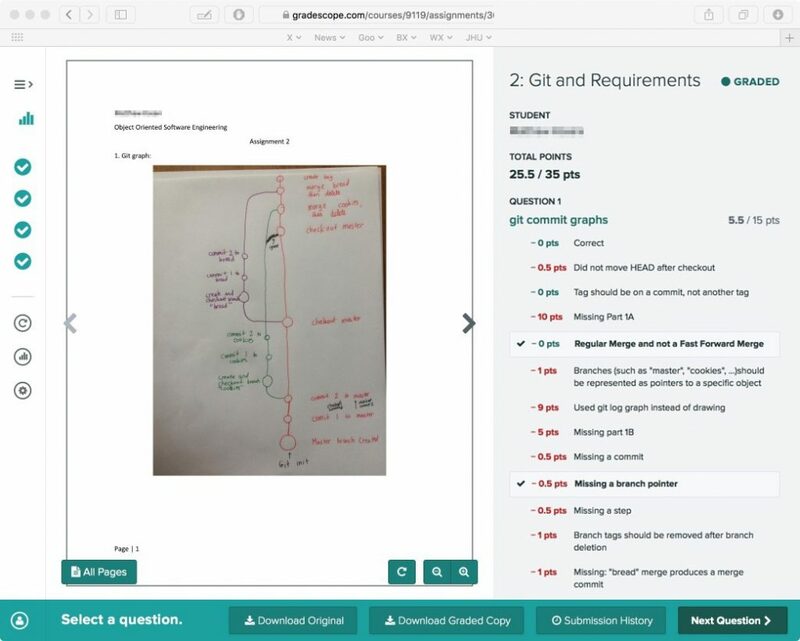 In the case of the homework, students would upload a digital version of the assignment to Gradescope. The application would then prompt the student to designate the areas in the document where their answers can be found so that the application could sort and organize the submissions for the ease of grading. For the in-class exams, I would have the students work on a paper-based exam that I set up in Gradescope with the question areas established. 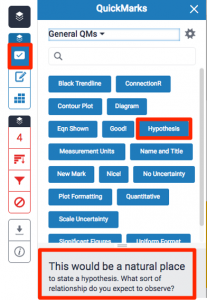 I then would scan and upload the exams so that Gradescope could associate the established question areas to the student submissions automatically. The process of digitizing the completed tests and correlating them to the class roster was made easy with a scanner and Gradescope’s automatic roster matching feature. Gradescope became a centralized location where my TAs and I could grade student work. The real power of Gradescope is that it requires setting up a reusable rubric (a list of competencies or qualities used to assess correct answers) to grade each question. When grading, you select from or add to the rubric to add or deduct points. This keeps the grading consistent across multiple submissions. As the rubric is established as a part of the assignment, you can also update the point values at any time if you later determine that a larger point addition/deduction is advisable, and the grade calculations will update automatically. After being informed that I wouldn’t have any TAs for my Principles of Programming Languages course the following semester, I was motivated to use one of Gradescope’s [features, the programming assignment auto-grader platform. Being able to automatically provide grades and feedback for students’ submitted code has long been a dream of instructors who teach programming. Gradescope offers a language-agnostic environment in which the instructor sets up the components and libraries needed for the students’ programs to run. The instructor establishes a grading script that is the basis for the analysis, providing grades and feedback for issues found in each student’s submitted program. 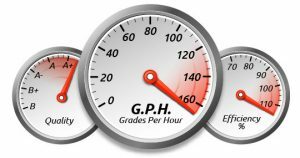 Overall, the use of Gradescope has reduced time spent grading and improves the quality of feedback that I am able to provide students. For instance, when I release grades to the students, they are able to review each of the descriptive rubrics that were used when grading their submissions, as well as any additional comments. Auto-grader was really the star feature in this case. Students were able to submit their code, determine if it would run, and make corrections before the deadline to increase their chances of a better grade. There are features to reduce the number of allowed submissions, but I choose not to set a limit so that the students could use an iterative approach to getting the right solution. Gradescope is only effective if your rubrics and grading criteria are well thought out, and the auto-grading scripts require some time to set up. Creating the grading scripts for the programming assignments may seem time intensive, but by frontloading the work with detailed rubrics and test cases, more time is saved in the grading process. The value of this preparation scales as enrollment increases, and the rubrics and scripts can be reused when you teach the course again. With more time during the semester freed up by streamlining the grading process, my TAs and I were able to increase office hours, which is more beneficial in the long run for the students. The process for regrading is much easier for both students and instructors. Before Gradescope, a regrade request meant determining which TA graded that question, discussing the request with them, and then potentially adjusting the grade. With the regrade feature, students submit a regrade request, which gets routed to that question’s grader (me or the TA) with comments for the grader to consider. The grader can then award the regrade points directly to the student’s assignment. As the instructor, I can see all regrade requests, and can override if necessary, which helps to reduce the bureaucracy and logistics involved with manual regrading. Additionally, regrade requests and Gradescope’s assignment statistics feature may allow you to pinpoint issues with a particular question or how well students have understood a topic. I have found that when preparing assignments with Gradescope, I am more willing to create multiple mini-assignments. With large courses, the tendency would be to create fewer assignments that are larger in scope to lessen the amount of grading. When there are too few submission points for students who are deadline oriented, I find that they wait till the last few days to start the assignment, which can make the learning process less effective. By adding more assignments, I can scaffold the learning to incrementally build on topics taught in class. After using Gradescope for a year, I realized that it could be used to detect cheating. Gradescope allows you to see submissions to specific questions in sequence, making it easy to spot submissions that are identical, a red-flag for copied answers. While not a feature, it is an undocumented bonus. It should also be noted that Gradescope adheres to FERPA (Family Educational Rights and Privacy Act) standards for educational tools. NOTE TO JHU READERS ONLY: The institutional version of Gradescope is currently available to JHU faculty users through a pilot program. 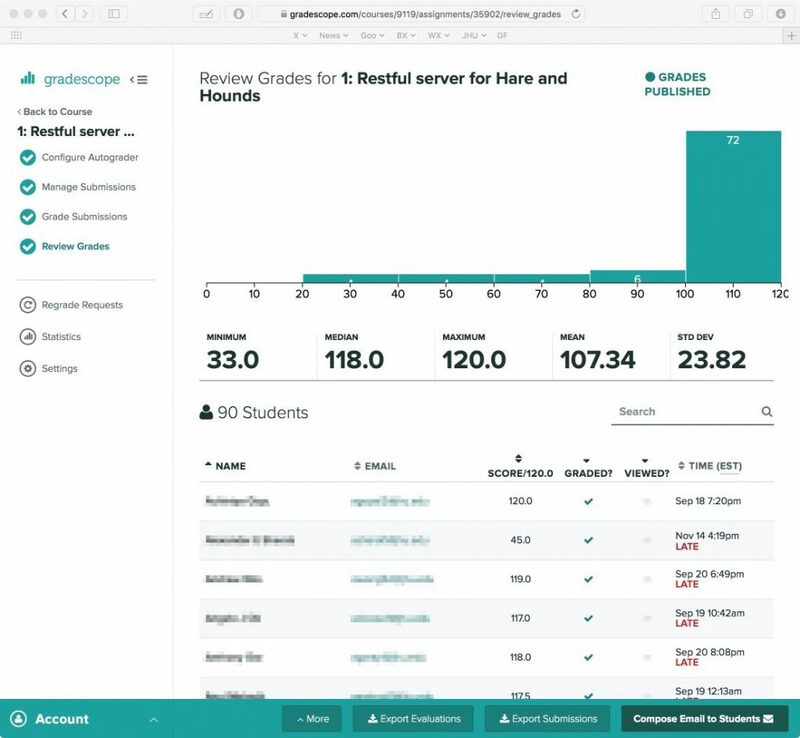 If you are faculty at Johns Hopkins University’s Homewood campus interested in learning more about how Gradescope might work for your courses, contact Reid Sczerba in the Center for Educational Resources at rsczerb1@jhu.edu. Scott Smith has been a professor of Computer Science at Hopkins for almost 30 years. His research specialty is programming languages. For the past several years, he has taught two main courses, Software Engineering, a 100 student project-based class, and Principles of Programming Languages, a mathematically-oriented course with both written and small programming assignments. On Friday, December 15, the Center for Educational Resources (CER) hosted the second Lunch and Learn—Faculty Conversations on Teaching—for the 2017-2018 academic year. Laura Foster, Academic Advisor, Public Health Studies, and Reid Mumford, Instructional Resource Advisor, Physics & Astronomy, presented on Creating Rubrics and Calibrating Multiple Graders. Laura Foster led by giving us a demonstration of her use of Blackboard for creating rubrics. She noted that she might be “preaching to the choir” but hoped that those present might take back these best practices to their colleagues. Noting that many faculty have negative opinions of Blackboard, she put in a plug for its organizational benefits and facilitation of communication with students. Foster started using Blackboard tools for a Public Health Studies class where she was grading student reflections. The subject matter—public health studies in the media—was outside of her field of physical chemistry. Blackboard facilitates creating a rubric that students can see when doing an assignment and the instructor then uses to grade that work. She showed the rubric detail that students see in Blackboard, and how the rubric can be used in grading. [See the CER Tutorial on Blackboard Rubrics and Rubrics-Helpful Hints] The rubric gives the students direction and assures that the instructor (or other graders) will apply the same standards across all student work. It empowers students when they know exactly what criteria will be used in evaluating their work and how many points will be assigned to each component. Foster has found that using rubrics is an effective way to communicate assignment requirements to students, and that it helps her to clarify for herself what at the most important points. She noted that a rubric is very useful when there are multiple graders, such as Teaching Assistants (TAs), as it helps to calibrate the grading. In response to questions from the audience, Foster stated that rubrics can be developed to cover both qualitative and quantitative elements. Developing good rubrics is an iterative process; it took her some time to sharpen her skills. There is flexibility in differentiating points allotted, but the instructor must be thoughtful, plan for a desired outcome, and communicate clearly. The rubric tool can be used to grade PDF files as well as Word documents. Foster noted that it is important to take opportunities to teach students to learn to write, learn to use technology, learn to read instructions, and learn to look at feedback given on assignments. Being transparent and explaining why you are using a particular technology will go a long way. Reid Mumford gave his presentation on how he calibrates multiple graders (see slides). Mumford oversees the General Physics lab courses. This is a two semester, required sequence, so not all students are excited to be there. The sequences are on Mechanics and Electricity and Magnetism; both labs are taught every semester with multiple sections for each course. Approximately 600 to 700 students are taking these lab sequences each semester; students are divided into sections of about 24 students. The labs are open-ended and flexible, so students aren’t filling in blanks and checking boxes, which would be easier to grade. Lab sections are taught and graded by graduate student TAs, with about 30 TAs teaching each semester. Teaching and grading styles vary among these TAs as would be expected. Clearly, calibrating their grading is a challenge. Grades are based on the best 9 of 10 lab activities, which consist of a pre-lab quiz and a lab note. All activities are graded using the same rubric. The grading scale used can be seen in the slides. One of the criteria for grading is “style,” which allows some flexibility and qualitative assessment. Students have access to the rubric, which is also shown in the slides. About three years ago, Mumford adopted Turnitin (TII), the plagiarism detection tool, for its efficient grading tools. It works well for his use because it is integrated with Blackboard. TII does its job in detecting cheating (and Mumford noted that lots of students are cheating), but it is the grading tools that are really important for the TAs. TAs are encouraged to be demanding in their grading and leave a lot of feedback, so grading takes them two to four hours each week. TII’s Feedback Studio (formerly known as GradeMark) allows TAs to accomplish their mission. [See CER tutorial on Feedback Studio and The Innovative Instructor post on GradeMark.] It was the QuickMark feature that sold Mumford on Feedback Studio and TII grading. Using the rubric for each activity, QuickMark can be pre-populated with commonly-used comments, which can then be dragged and dropped onto the student’s submitted work. These tools helped make the grading load more efficient, but calibrating the multiple graders was another challenge. Mumford found that the TAs need lots of feedback on their grading. Each week he downloads all the grades from Blackboard grade centers. He creates a plot that shows the average score for the weekly lab assignment. Outliers to the average scores are identified and these TAs are counseled so that their grading can be brought into line. Mumford also looks at section grading trends and can see which sections are being graded more leniently or harshly than average. He works with those TAs to standardize their grading. In calculating final grades for the course, Mumford keeps three points in mind: final letter grades must be calculated, there should be no “easy” or “hard” sections of lab, and distribution should not vary (significantly) between sections. He makes use of per-section mapping and uses average and standard deviation to map results to a final letter grade model. Mumford noted that students are made aware, repeatedly, of the model being used. He is very transparent—everything is explained in the syllabus and reiterated weekly in lab sessions. In the future Mumford plans to give students a better understanding of course standing, to calculate a per-section curve each week, and to overcome some technical issues and the greater time investment that will be required with weekly calibrating and rescaling. Instructors have many tasks to perform during the semester. Among those is grading, which can be subjective and unstructured. Time spent constructing grading rubrics while developing assignments benefits all parties involved with the course: students, teaching assistants and instructors alike. Sometimes referred to as a grading schema or matrix, a rubric is a tool for assessing student knowledge and providing constructive feedback. Rubrics are comprised of a list of skills or qualities students must demonstrate in completing an assignment, each with a rating criterion for evaluating the student’s performance. Rubrics bring clarity and consistency to the grading process and make grading more efficient. Rubrics can be established for a variety of assignments such as essays, papers, lab observations, science posters, presentations, etc. Regardless of the discipline, every assignment contains elements that address an important skill or quality. The rubric helps bring focus to those elements and serves as a guide for consistent grading that can be used from year to year. Whether used in a large survey course or a small upper-level seminar, rubrics benefit both students and instructors. The most obvious benefit is the production of a structured, consistent guideline for assigning grades. With clearly established criteria, there is less concern about subjective evaluation. Once created, a rubric can be used every time to normalize grading across sections or semesters. When the rubric for an assignment is shared with teaching assistants, it provides guidance on how to translate the instructor’s expectations for evaluating student submissions consistently. The rubric makes it easier for teaching assistants to give constructive feedback to students. In addition, the instructor can supply pre-constructed comments for uniformity in grading. Some instructors supply copies of the grading rubric to their students so they can use it as a guide for completing their assignments. This can also reduce grade disputes. When discussing grades with students, a rubric acts as a reminder of important aspects of the assignment and how each are evaluated. Below are basic elements of rubrics, with two types to consider. All rubrics have three elements: the objective, its criteria, and the evaluation scores. Before creating a rubric, it is important to determine learning objectives for the assignment. What you expect your students to learn will be the foundation for the criteria you establish for assessing their performance. As you are considering the criteria or writing the assignment, you may revise the learning objectives or adjust the significance of the objective within the assignment. This iteration can help you hone in on what is the most important aspect of the assignment, choose the appropriate criteria, and determine how to weigh the scoring. When writing the criteria (i.e., evaluation descriptors), start by describing the highest exemplary result for the objective, the lowest that is still acceptable for credit, and what would be considered unacceptable. You can express variations between the highest and the lowest if desired. Be concise by using explicit verbs that relate directly to the quality or skill that demonstrates student competency. There are lists of verbs associated with cognitive categories found in Bloom’s taxonomy (Knowledge, Comprehension, Application, Evaluation, Analysis, and Synthesis). These lists express the qualities and skills required to achieve knowledge, comprehension or critical thinking (Google “verbs for Bloom’s Taxonomy”). The evaluation score for the criterion can use any schema as long as it is clear how it equates to a total grade. Keep in mind that the scores for objectives can be weighted differently so that you can emphasize the skills and qualities that have the most significance to the learning objectives. There are two main types of rubrics: holistic (simplistic) and analytical (detailed). Selecting your rubric type depends on how multi-faceted the tasks are and whether or not the skill requires a high degree of proficiency on the part of the student. A holistic rubric contains broad objectives and lists evaluation scores, each with an overall criterion summary that encompasses multiple skills or qualities of the objective. This approach is more simplistic and relies on generalizations when writing the criteria. The criterion descriptions can list the skills or qualities as separate bullets to make it easier for a grader to see what makes up an evaluation score. Below is an example of a holistic rubric for a simple writing assignment. An analytical rubric provides a list of detailed learning objectives, each with its own rating scheme that corresponds to a specific skill or quality to be evaluated using the criterion. Analytical rubrics provide scoring for individual aspects of a learning objective, but they usually require more time to create. When using analytical rubrics, it may be necessary to consider weighing the score using a different scoring scale or score multipliers for the learning objectives. Below is an example of an analytical rubric for a chemistry lab that uses multipliers. It is beneficial to view rubrics for similar courses to get an idea how others evaluate their course work. A keyword search for “grading rubrics” in a web search engine like Google will return many useful examples. Both Blackboard and Turnitin have tools for creating grading rubrics for a variety of course assignments. Louise Pasternack earned a Ph.D. in chemistry from Johns Hopkins. Prior to returning to JHU as a senior lecturer, Louise Pasternack was a research scientist at the Naval Research Laboratory. She has been teaching introductory chemistry laboratory at JHU since 2001 and has taught more than 7000 students with the help of more than 250 teaching assistants. She became a teaching professor at Hopkins in 2013. In the previous post, we looked at a debate on the value of a certain type of student writing assignments. The upshot was that it might be in the best interests of students for instructors to model real-life research experiences and allow for presentation of research results in the range of media possibilities available to working professionals. Creating multimedia assignments for your students may have appeal, but for instructors taking the plunge for the first time, such assignments may seem daunting. You may be equating multimedia with video, and video with movie production, and imagining that students will somehow need to become budding Quentin Tarantinos in addition to learning all the course materials. And where is that video equipment going to come from? In truth, multimedia creation can output to a wide range of formats, including digital posters, audio-casts, timelines, visualizations, digital/online exhibitions, websites, blogs, presentation software productions, and video. Video can be produced using easy to learn and readily available applications. PowerPoint and Keynote offer low-tech solutions as there are options to save presentations as video files. Student don’t need a video camera for these – still images combined with timed transitions, animations, and music or voice-over recordings can make for very effective end products. For true video, many students have smartphones that are capable of shooting video clips for editing in iMovie, or Windows Movie Maker, or even on the phone itself. Unless your goal is for students to learn advanced digital video skills, the slickness of the end product should not be the sole determinant of the grade. Rather, just as you would grade a text assignment, your assessment rubric should focus on the strength of the argument and supporting evidence. But, your first question should be whether a multimedia assignment is in alignment with your teaching objectives. 1. Why create a multimedia assignment? What is the value added? 2. Be aware of the myth of the digital native. Not all students are technical wizards. Their experience and expertise will vary. It’s a good idea to start with lower stakes assignments to get students familiar with multimedia technologies before introducing a major project. 3. Don’t just teach the tools, teach the critical thinking. Try folding a traditional assignment into the multimedia project, perhaps by having students write an essay before adapting it into a video presentation. 4. Set clear goals by creating a concrete rubric. Without this you may find it difficult to assign grades once you receive the work. Having a clear vision of your primary learning objectives will make it much easier when it comes to grading and providing feedback. 5. Communicate your teaching goals to your students. Distributing your rubric when you make the assignment is a good way to achieve this. By offering specific guidelines about the skills you want them to learn you insure that students are clear about the assignment. In regards to the third point on teaching critical thinking as well as the tools, you may not have the expertise to teach some of the multimedia tools and that may determine the path you take in deciding how to frame the assignment. Look for resources on your campus. Here at Johns Hopkins Homewood campus, we have the Digital Media Center providing student support. See the end of the post for suggestions and links to specific free online platforms to support multimedia assignments. Another tip sheet for creating multimedia assignments can be found at the University of Massachusetts at Amherst Office of Instructional Technology – 10 Tips for Successful Multimedia Assignments. If the final products are going to be shared on public websites or otherwise publicly accessible, you will want to think about copyright issues. This can be a good opportunity to teach your students about copyright and fair use. Depending on your institution, there may be library staff able to provide assistance or other resources available, perhaps through the college or university office of legal counsel. We have a great LibGuide entitled Copyright and Fair Use: Trends and Resources for 21st Century Scholars here at JHU to get you started. Rubric comes from the Latin word rubrica meaning red chalk. In early medieval manuscripts the first letter of an important paragraph was often enlarged, painted in red, and called a rubric, leading to definitions of the term denoting the authority of what was written “under the rubric.” In the academic world the term has come to mean an authoritative rule or guide for assessment. Most faculty, when preparing a graded assignment or exam, have expectations about how it should be completed, what will constitute a correct answer, or what will make the difference between an A and a C on a paper. Formalizing those thoughts into a written rubric – a template or checklist where those expectations are specified – has real advantages. First, it can save time when it comes to grading the assignment or test. Second, if you have Teaching Assistants, they will have a clear understanding of how to grade, and grading will be consistent across the sections. Third, it will make it easy to explain to students why they didn’t get that A they thought they deserved. For a graded paper or project, it can be very helpful to share the rubric with the students when you give them the assignment. Seeing the rubric will help them to focus on what you feel is important. They will have a better understanding of the assignment and you will not only see better results, but have an easier time with the grading. For more about creating rubrics see the CER’s Innovative Instructor print series article on Calibrating Multiple Graders: http://www.cer.jhu.edu/ii/InnovInstruct-BP_CalibratingGraders.pdf. For more on the reasons to use rubrics see: http://chronicle.com/blogs/profhacker/is-it-too-early-to-think-about-grading/22660.